Caliban and Willie Evans, Jr. never made it into the X-Men, but Ariel/Sprite did and became one of their most popular members. As it turned out, the X-Men never discovered the Hellfire Club’s bug in Cerebro, but it was assumably destroyed along with Cerebro in Uncanny X-Men #213 in 1987. Cerebro was declared unusable junk in Uncanny X-Men #214. 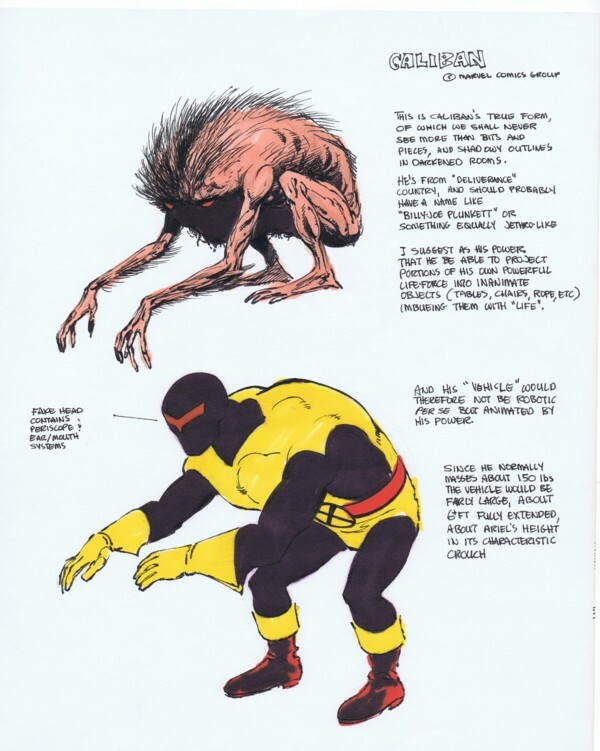 A Caliban designed by Dave Cockrum was introduced in Uncanny X-Men #148 in 1981, but he never joined the X-Men, deciding to live with the Morlocks in the sewers underneath New York instead, though many years later he did join X-Force using his powers to help track other mutants. The 9-year-old mutant Willie Evans, Jr., reappeared some years later in Iron Man Annual #8, 1986, in which he died.